A collaborative approach essentially means that each spouse and his or her attorney agree in advance not to resort to litigation in the divorce case. The parties then collaboratively works through the issues to find creative solutions that address the interests of each party. 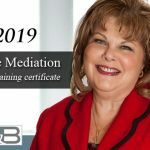 When dealing with a divorce or family law matter, it can often be in both parties’ best interests to use alternative dispute resolution techniques. These methods, such as mediation and collaborative law, are alternatives to the contentiousness of courtroom litigation and give the parties more control over the resolutions. Although not appropriate for all cases, alternative dispute resolution can be used for any type of family law issue, provided both parties are willing and motivated to work out their differences outside of the courtroom. In a collaborative divorce, each party is represented by his or her own lawyer, and all involved parties and attorneys sign an agreement not to litigate. The group then collaboratively works through the issues to find creative solutions that truly address the parties’ interests. 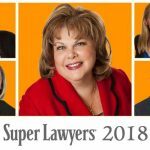 Attorneys can advise regarding options during the collaborative law process, and also may involve experts for financial, accounting, mental health and child custody issues. 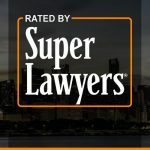 Chicago Family Attorney, Tiffany Alexander, is a trained mediator and is uniquely qualified to assist you in the collaborative divorce process. In the event the collaborative process is unsuccessful litigation is still available. 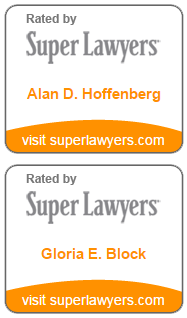 At Hoffenberg and Block we are experienced providers of alternative dispute resolution techniques. Our law firm is dedicated exclusively to family law issues, and we take a personalized approach to every client. We will meet with you to help you fully understand the process and what to expect. Our goal is to guide you through every step and help you reach the best possible solution. We represent Chicago area clients, including Cook, Lake, DuPage, Will and McHenry Counties in Illinois. 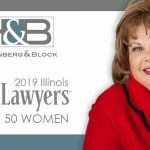 To discuss your divorce or legal separation issue with an experienced Chicago Collaborative Law Attorney, contact Hoffenberg & Block today at 312-853-8000 or Click Here to schedule a confidential case evaluation.